Shillow Beer Co. - Shillow Beer Co. Welcome to Shillow Beer Co! Shillow Beer Co. is a beer company based in Ottawa, Ontario. We are currently producing beers at a host brewery in Toronto and are moving forward with plans to build our own brewery in Ottawa in the near future! 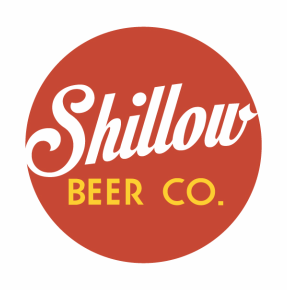 ​Owned and operated by "The Shillows" (Jamie and Ben Shillow), Shillow Beer Co. is a small, independent company committed to crafting interesting and delicious brews. So who are "The Shillows"? Ben Shillow: Ben is the company President and oversees much of the operations and manages the sales and distribution. Ben has an extensive background in the restaurant/hospitality industry, having worked as a server and sommelier/manager at some of Toronto's top restaurants, including Canoe and Auberge du Pommier. Ben is a certified sommelier through the International Sommelier Guild. ​Jamie Shillow: Jamie is the Vice President (meaning, the real boss) and Brewmaster. Jamie developed her knowledge and passion for beer working in some of Toronto's best craft beer bars, including Bar Volo and beerbistro. Jamie studied brewing at Niagara College's Brewmaster and Brewery Operations Management Program. Several years ago, Ben had the bright idea that we should start homebrewing! So he brought home a kit and we brewed our first batch of...horrible beer (it was really awful, but we drank it anyway). After a few more batches of astringent extract-beer, Jamie decided if we were going to devote the time and space (in our small apartment) to brewing, we should learn to do things properly. So, she started reading books and watching videos and our home brews became much better! Jamie was enjoying this new hobby so much, that Ben encouraged her to apply for Niagara College's Brewmaster Program. Jamie was accepted in the program and by the time she graduated in 2014, Ben was already putting wheels in motion to get Shillow Beer Company started. The idea was presented to design a bespoke beer for the restaurant Jamie worked in as a server (beerbistro). We got the restaurant staff involved and created Sass on the Side Brown Ale, which launched in October 2014 and can still be found on tap exclusively at beerbistro. Since launching, Shillow Beer Co has released several more beers that are available at licensees, LCBOs, and grocery stores throughout Ontario. And what are your plans for building a brewery? We're excited to say we aren't putting it on the back burner any longer! Our business plan has been reworked, and we are currently in the active fundraising stage to build a brewery in Ottawa! You'll definitely want to follow us on our social media so we can keep you posted on our latest news!